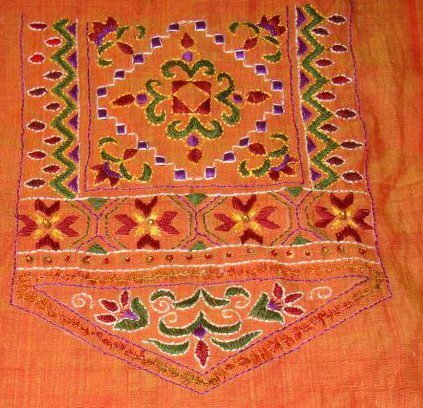 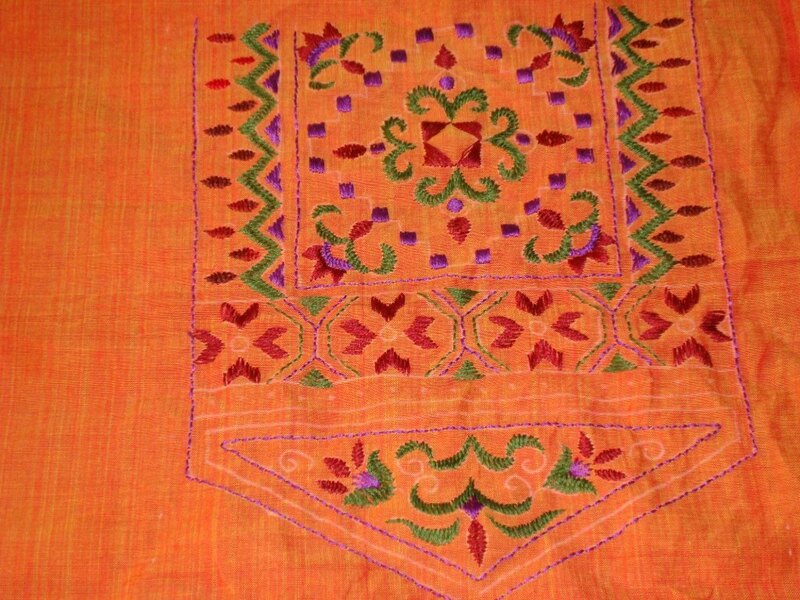 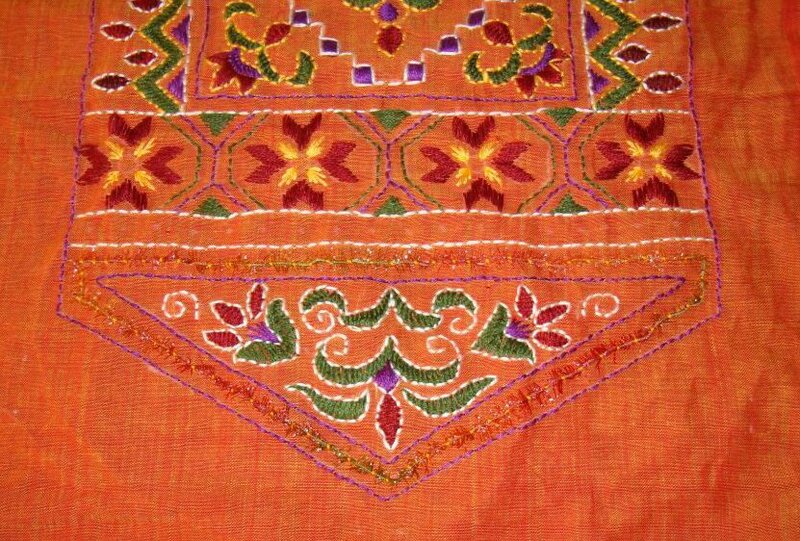 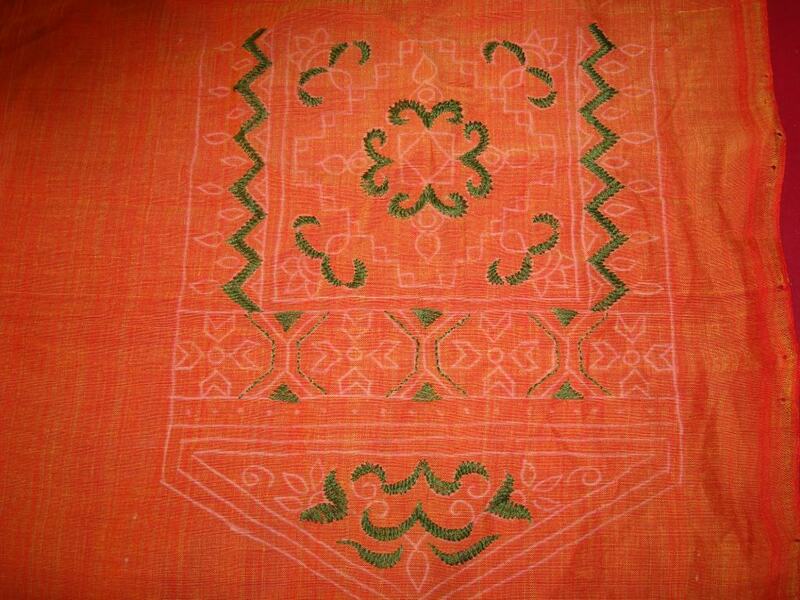 The tunic is cream colour chanderi cotton fabric, with traditional Indian print in burnt orange and green colours. 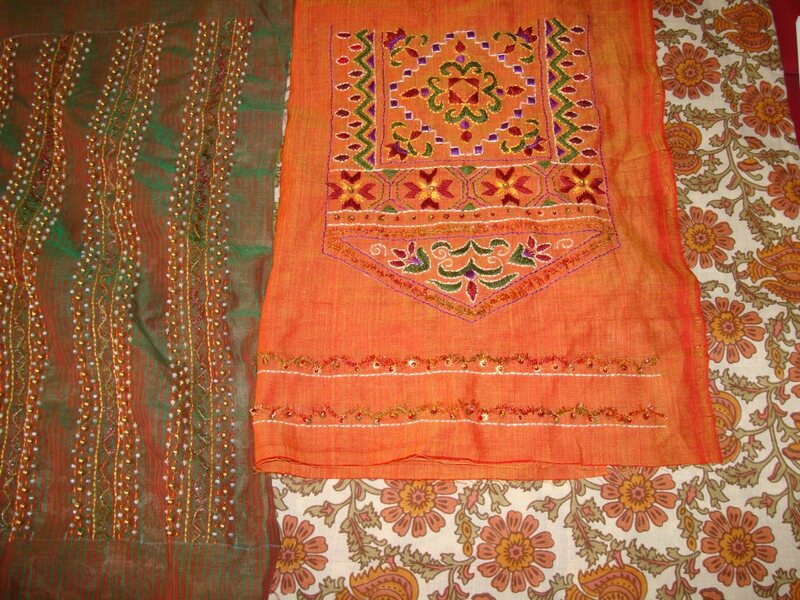 I was in a fix whether to use orange or green colour for yoke.generally I work on one colour for the fabric, choose the other colour and the tunic base colour for embroidery. 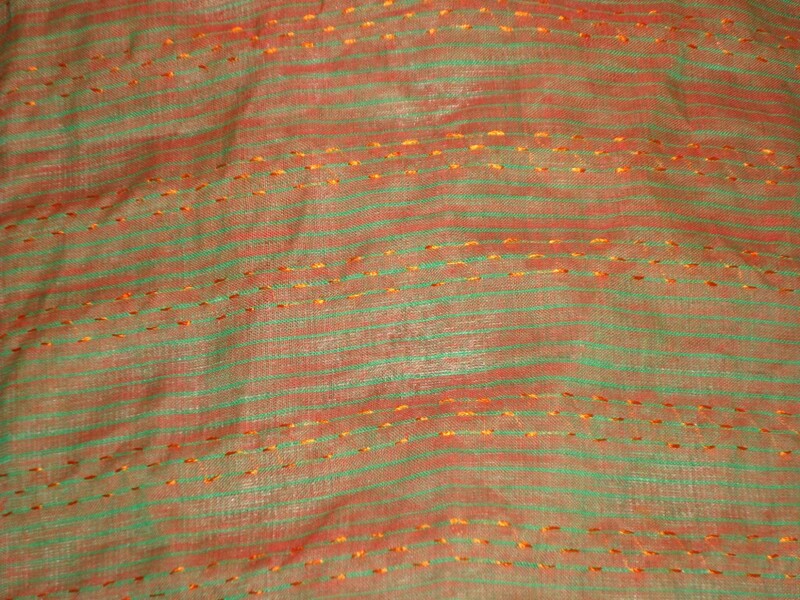 This time I thought I’ll use both green and orange colour fabrics for yoke. 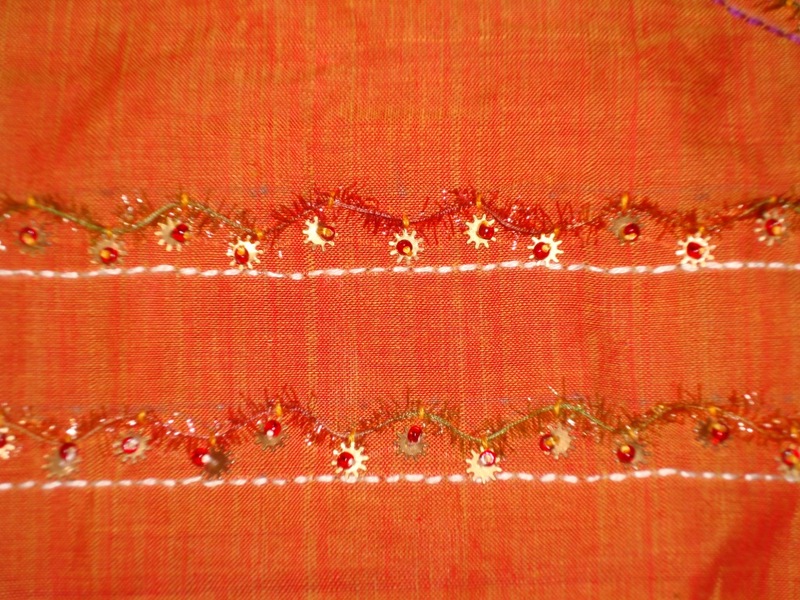 After this the sleeve borders were also to be done in two colours. 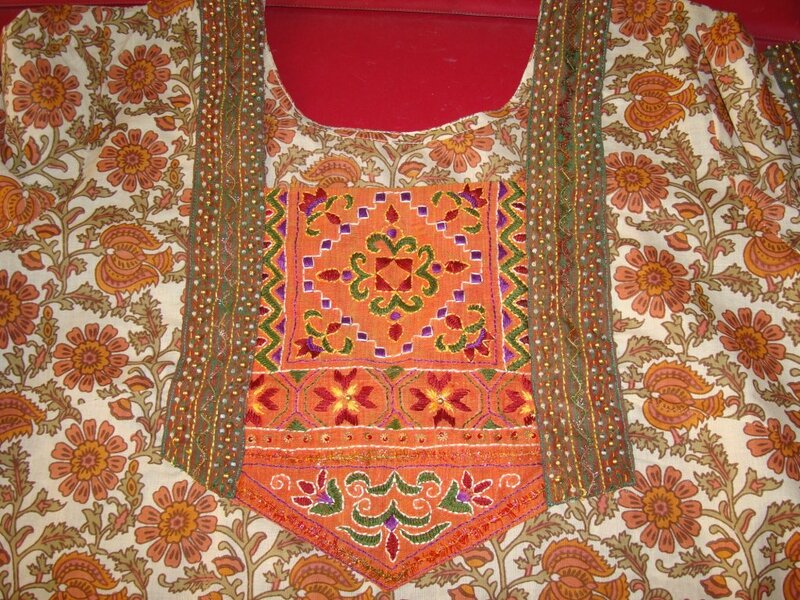 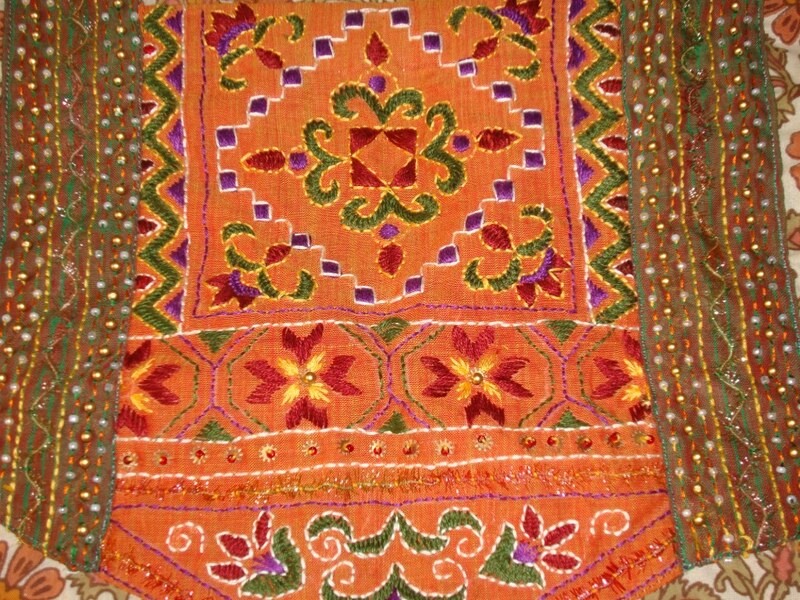 Along with the embroidery, rimjim thread, small pearls and sequins were also used as embellishments. 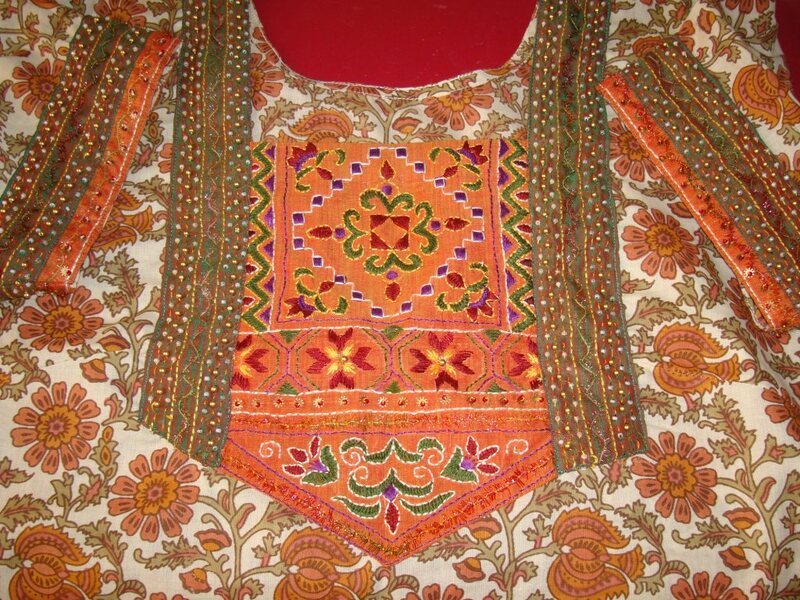 I’ll start with the detailing of the sleeves from my next post.